Spend a minimum of RM150 (monthly prize) / RM250 (grand prize) worth of 1Malaysia Book Vouchers in a single receipt in any Popular outlets. Share the contest & stand a chance to win! 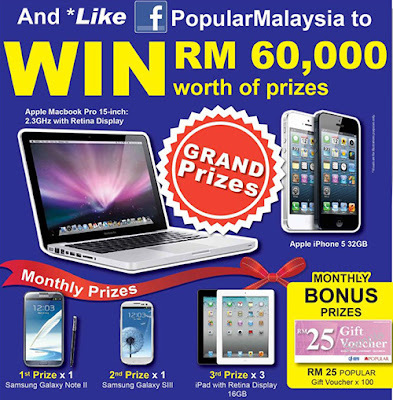 Visit Popular Malaysia website for more details.